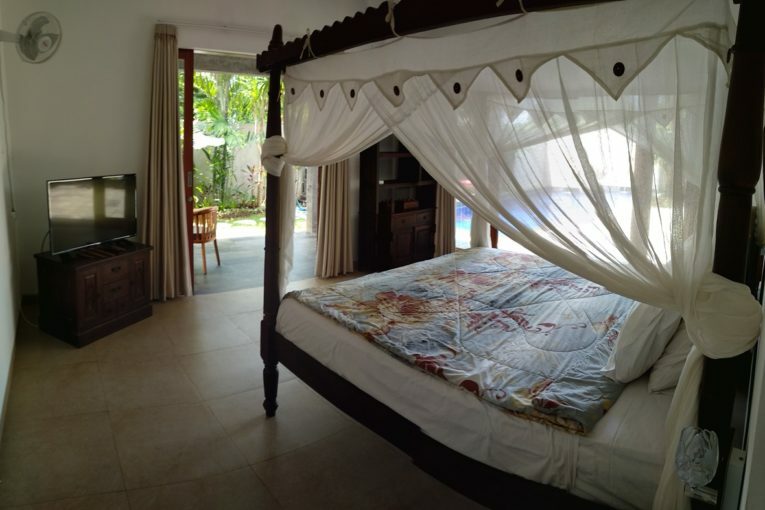 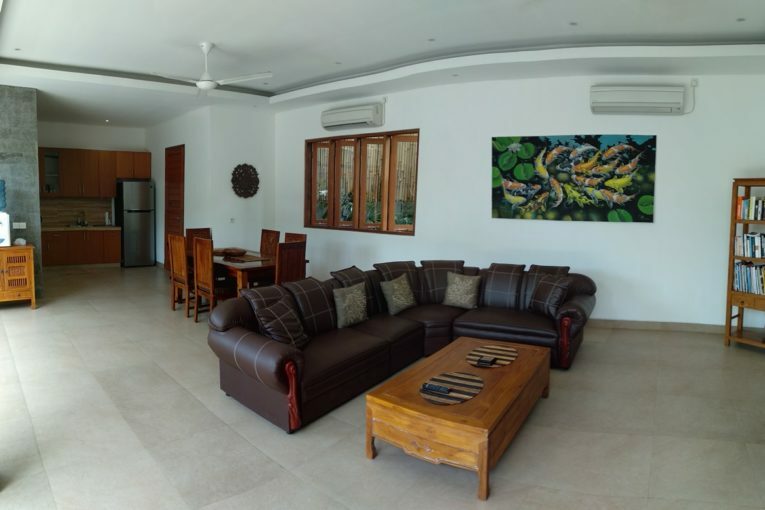 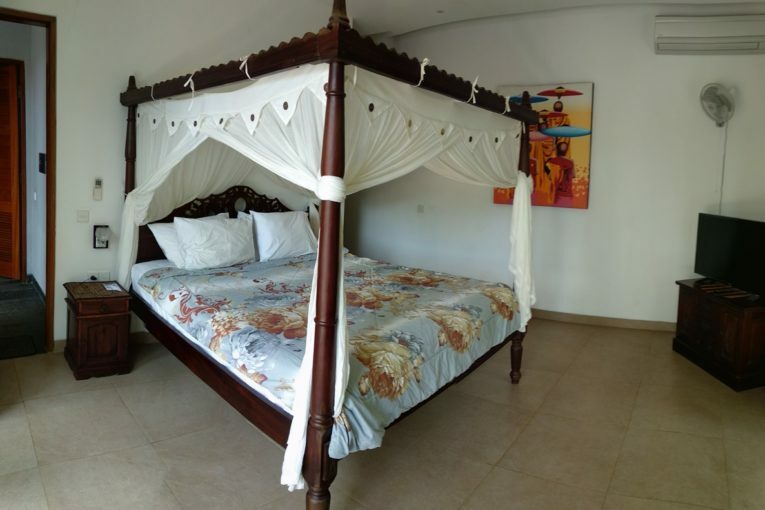 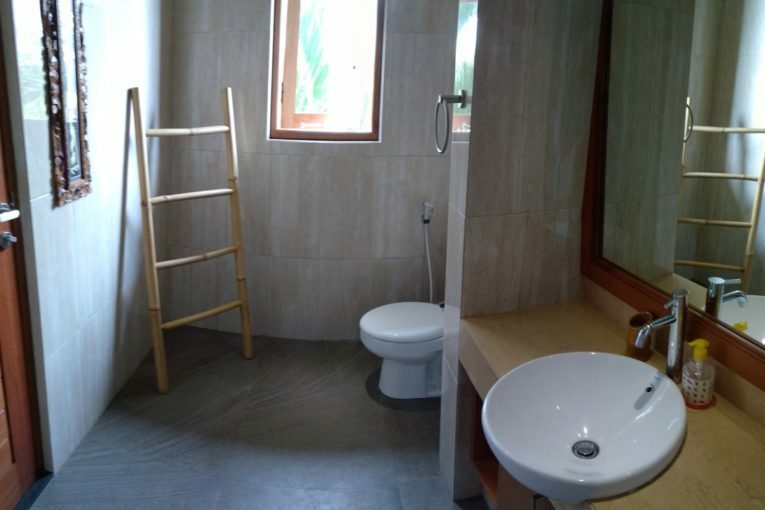 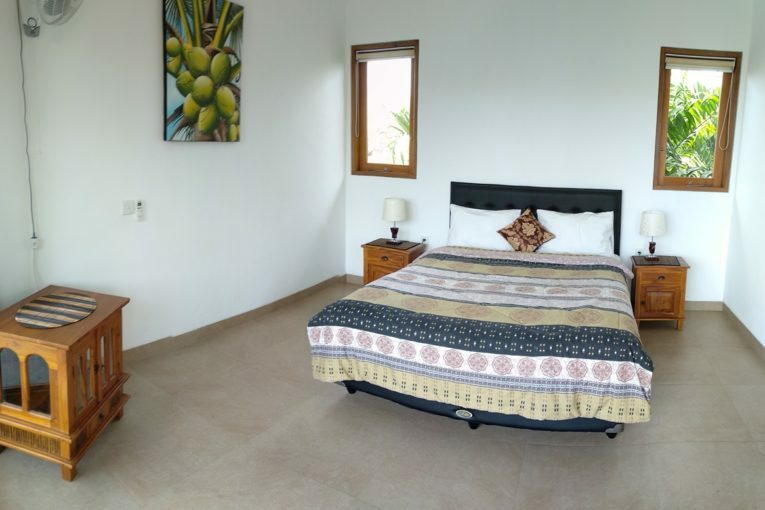 This four bedroom villa provides a peaceful space for relaxation and is ideally located only a few minutes drive to Pererenan and Echo beach. 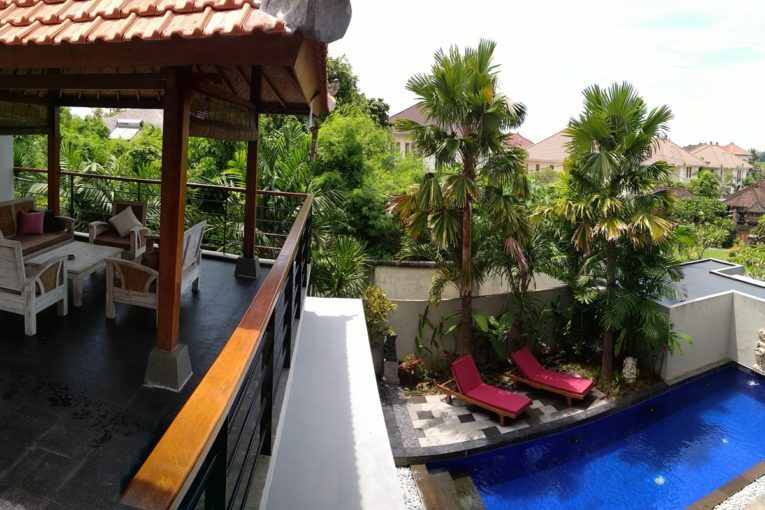 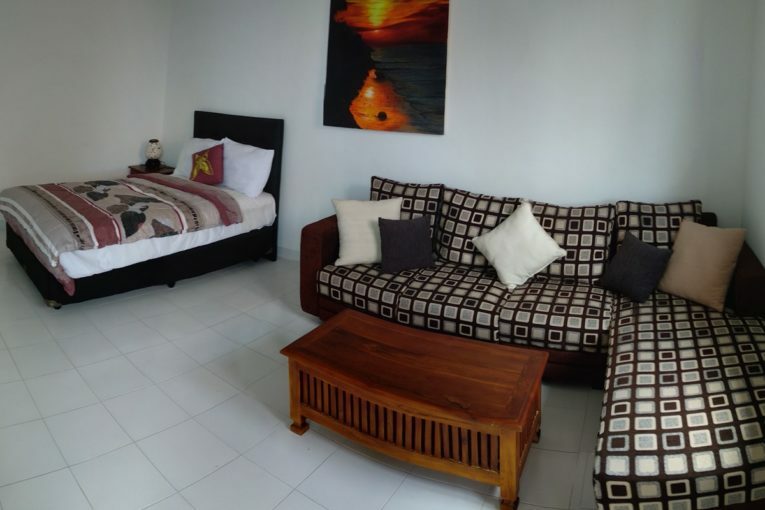 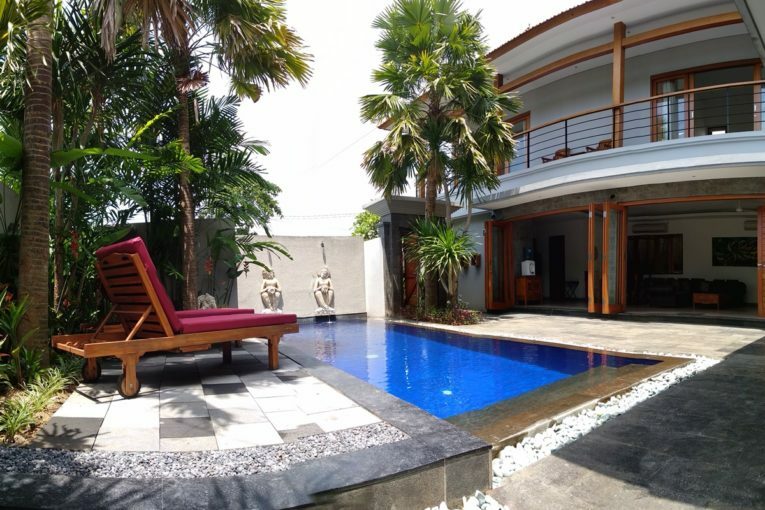 Pererenan is only a 10-15 minute drive from Canggu Club and Canggu Plaza. 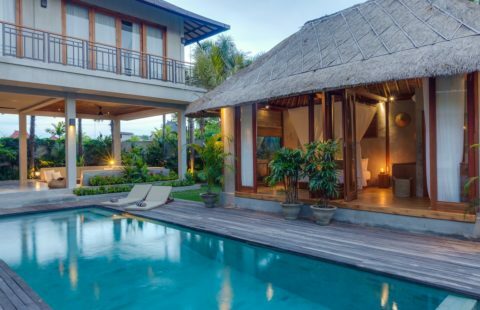 This villa has a cozy ambiance which makes it a perfect family home. 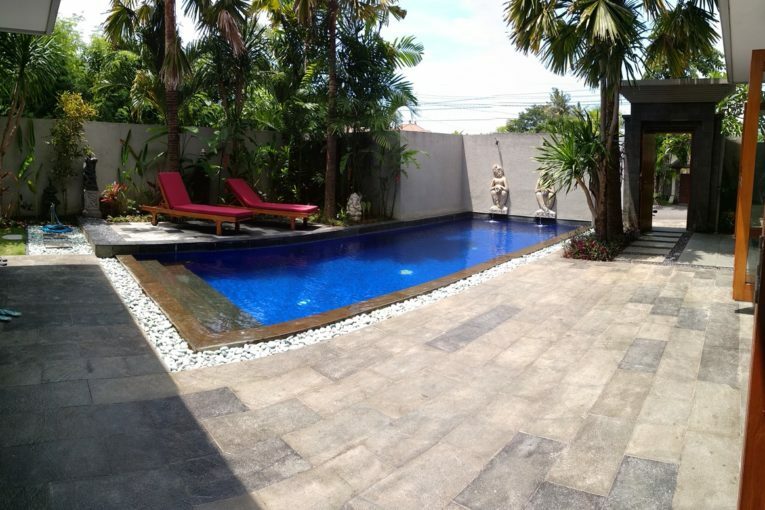 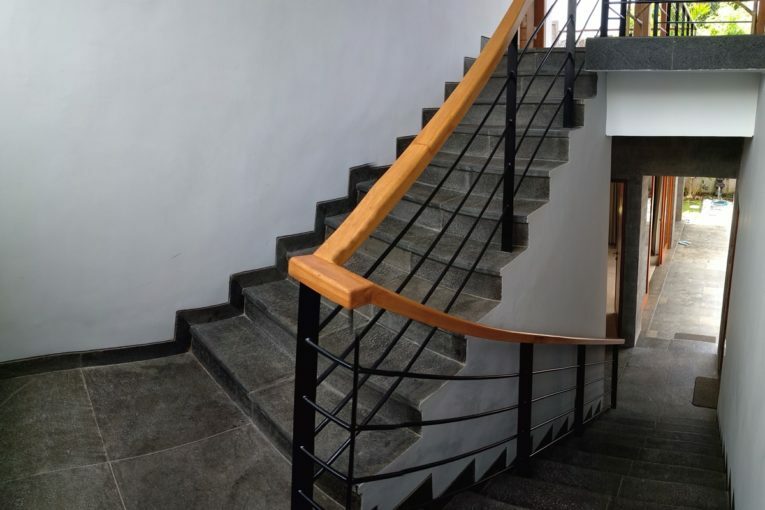 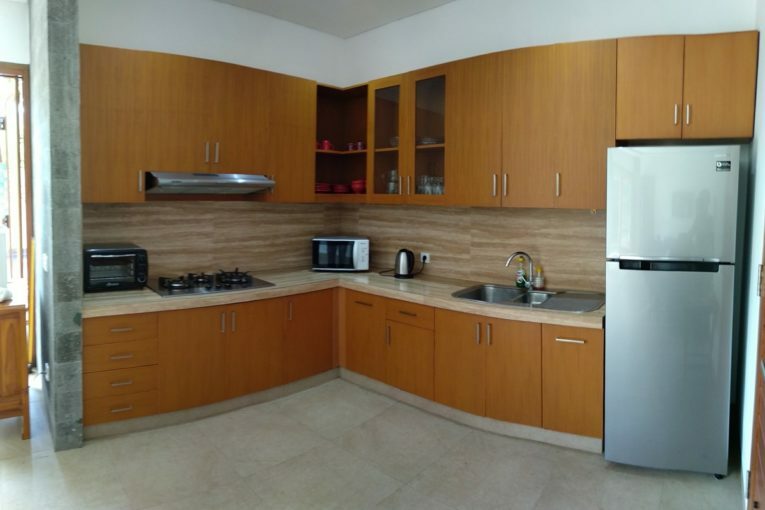 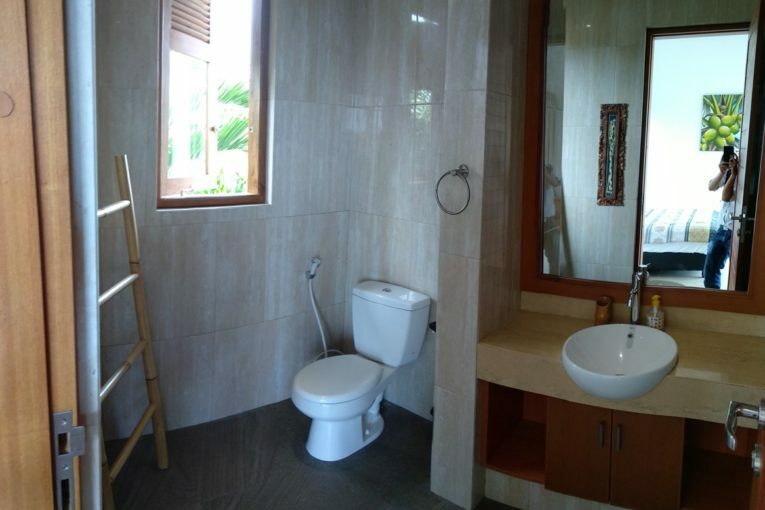 Built in a modern style and consists of 4 bedrooms including one bedroom downstairs that overlooks the swimming pool. 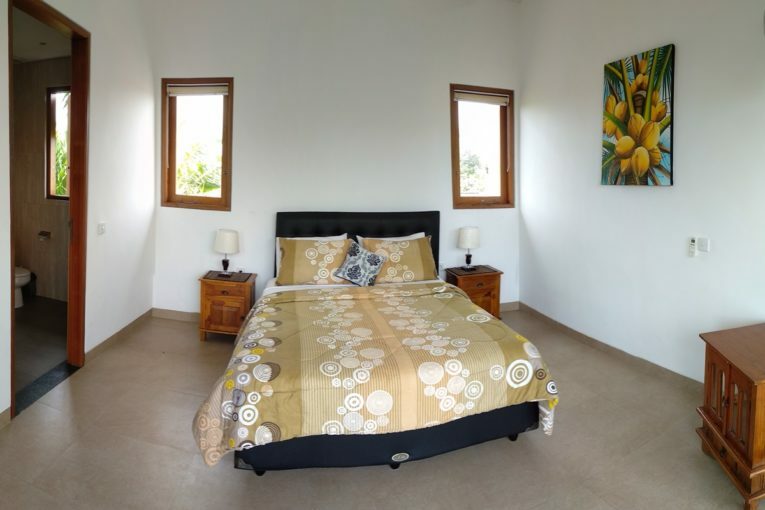 The other three bedrooms are located on the second floor. 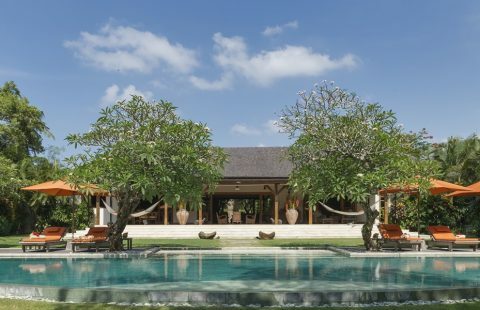 In the outside area, we can find the bale (gazebo). 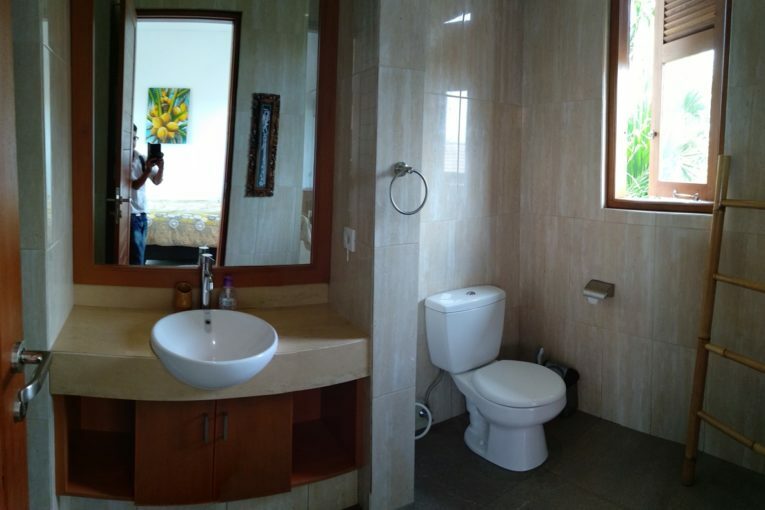 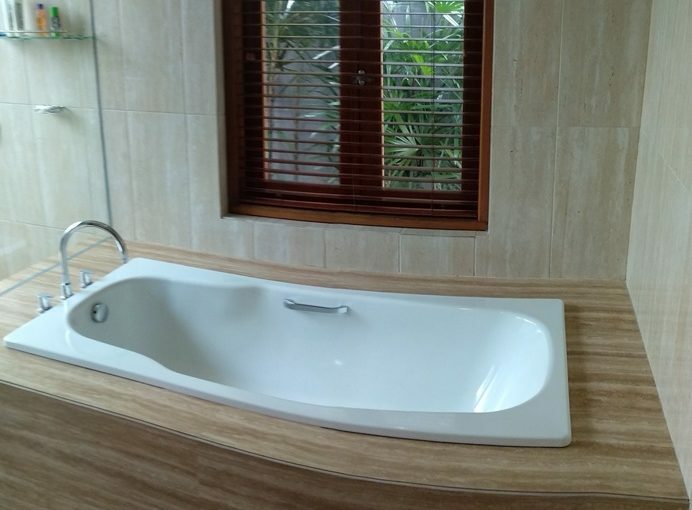 This villa has four bathrooms, one with bathtub. 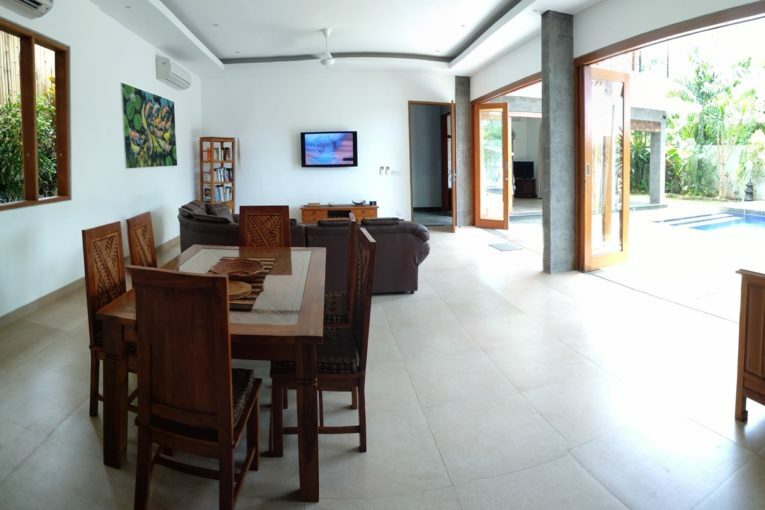 The living and dining rooms are spacious, the bifold door can be opened to allow fresh air into the living area.